During the day 1 keynote at the Microsoft BUILD developer’s conference, Stephen Elop took the stage to announce some new Nokia Lumia phones with Windows Phone 8.1. 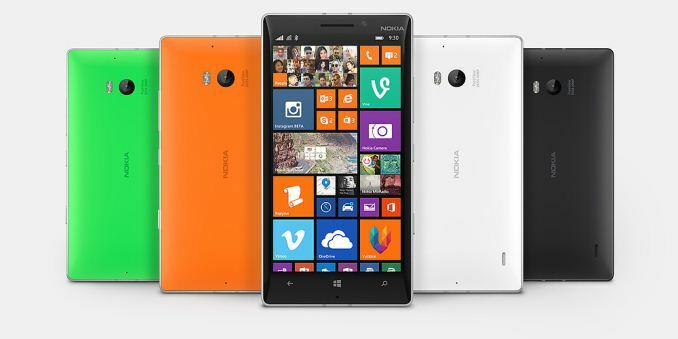 First up was the new Lumia 930. The Lumia 930 is a 5” 1080p phone, with a 20 Megapixel PureView camera with OIS, Snapdragon 800 2.2 GHz SoC, 2 GB of RAM, 32 GB of storage, and Qi wireless charging. 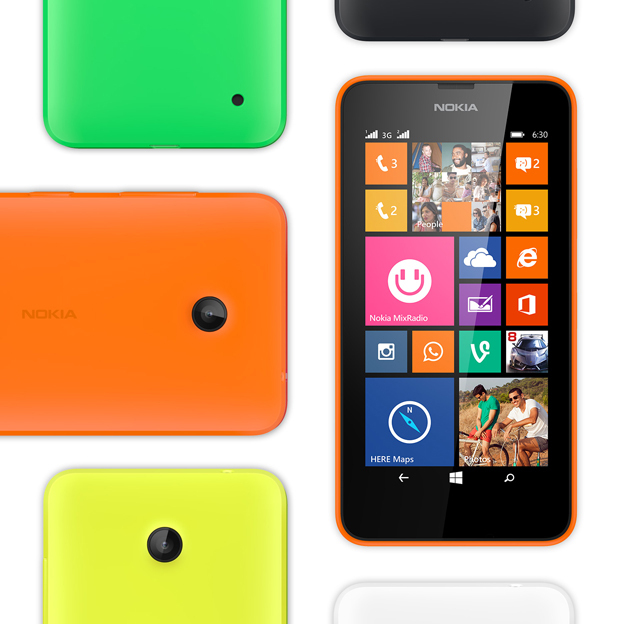 This new phone is actually the recently released Lumia Icon rebranded, and pre-loaded with Windows Phone 8.1. Availability of the device is going to start with Europe in June, and move out from there. The announced price point is $599 USD off contract. This phone doesn’t look like it will be launched in the USA anytime soon, since Verizon has an exclusive arrangement with Nokia for the rebranded Icon. 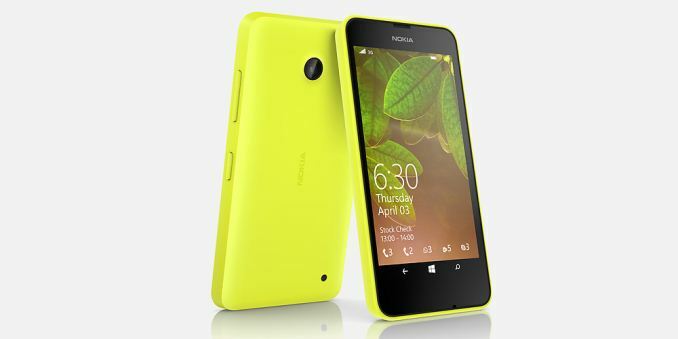 Windows Phone has been much more successful with the lower end of the market, and to serve this market, Elop announced the Lumia 630, and 635. Spec wise, the 630 is decidedly low end, 4.5” 854 x 480 smartphone. It comes with a Snapdragon 400 1.2 GHz quad core SoC, 512 MB of RAM, and 8 GB of onboard storage, and no LTE support. Even though the storage is low, it does support MicroSD cards, and Windows Phone 8.1 looks like it will have even better support for expandable storage than Windows Phone 8 did, so the small storage should not cause too many issues. The low 512 MB of RAM will restrict the apps that can run on the device, just as it does for current devices with the same memory. 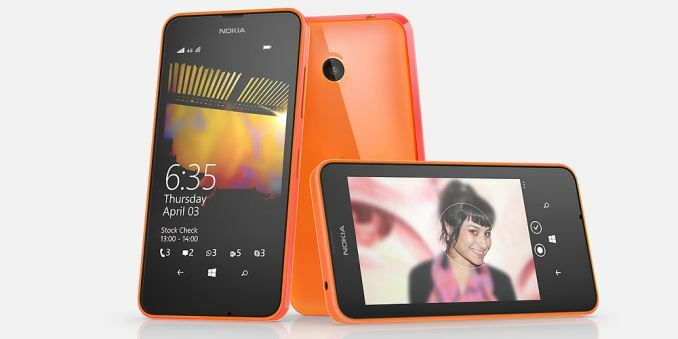 A new feature to Windows Phone for the 630 is Dual SIM support. Although not used much in North America, it is popular in many countries and will open this low cost device up to those markets. Dual SIM looks fairly well done, with different color tiles for different SIMs if you want, or you can link the tiles for both SIMs together much like the linked inbox. Dialing can be set per contact as to which SIM you want to use as well. The 635 is identical to the 630 in every way, other than LTE support (bands 3, 7, and 20). Also discussed is a new “Sensor Core” which, like many phones being announced recently, is a way to track movement for health and fitness apps. The 630 and 635 will be the first Windows Phone 8.1 devices sold, and will go on sale in May in Asia, moving across India and Europe with North American availability beginning in July. Prices are starting at $159 for a single SIM 630, moving up a staggering $10 to $169 for the dual SIM version. The 635 with LTE has a MSRP of $189. Local subsidies may apply, so we’ll have to see how the actual street price lands.